As I have been writing these blogs, there have been plenty that dive into homes for sale in Idaho, Idaho Falls Real Estate, houses for rent in Idaho Falls, and where to search real estate Idaho Falls from Realtor com Idaho. There are plenty of locations to find out information about real estate from The Group Real Estate, and especially the blogs that we put together here. With that, we also want to make sure that you are reading blog posts from us, from our agents, and employees, simply about their livelihoods, the hobbies they may have, or how they go about their business. 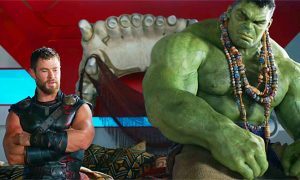 One of those was doing a blog, just this last week, that ranked the Marvel movies from best to worst, well, worst to best in that particular blog, in preparation for Thor Ragnarok. I had a competition this weekend and didn’t get to see it first hand like I love to see a lot of these movies. So all weekend, I was hearing about how amazing it was, and hearing about the post credit scenes, trying to skip past certain posts on social media, etc. This is difficult for someone who is so ingrained in nerd culture that he needs to be first for all of this, so nothing at all is ruined. 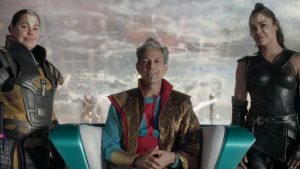 Thor Ragnarok takes a whole different route than any Marvel movie ever has. The dialogue and route that it takes in a comedic way, bordering on slapstick style comedy, is something that we have never seen in a Marvel movie. They tried to do some of it with the “side” characters in the second Thor movie, which was a horrendous disaster of a film. And it was due to the forced comedy. This time, making the realization of letting the main characters be the comedic leads, was the most perfect choice that we needed in the Marvel movies. This is a movie that is truly a breath of fresh air to the way that the Marvel Movie Universe has been going. And due to them taking a whole new, and different, tone, it helped this movie far exceed my expectations. This is a movie that I will watch a lot. A lot. The type that doesn’t take itself too seriously, but still has the best action scenes that I have seen in any comic book movie, has some tender moments, but doesn’t slog and keeps you fully invested, in entertainment quality, for the entirety of the film! This is a Top 5 comic book movie of all time, and Top 3 Marvel MCU movie. The reason for this, is it is one that I will watch a lot. Have on in the background. A lot. Enjoy and laugh to. A lot. It finally gave the idea of comic book fatigue a new vamp. And by doing so, it brings to light the way that movies can adapt, within a genre, and succeed wholeheartedly. It gave us the best action pieces we have seen in any comic book movie, it was gut busting, laugh out loud, funny and it had a wonderful heart about it. The smile it would bring to anyone’s face is so heartily deserved. The color schemes are just a bit brighter, Cate Blanchett as Hela (the goddess of death) is an amazing, and terrifying, bad guy, and of course the main run of the mill actors in Chris Hemsworth and Tom Hiddleston as Thor and Loki, are pure goal. Plus, the best take on Hulk thus far, is this version. There is so much to talk about with this movie, that truly needs to be experienced on it’s own. Talking about the moments doesn’t do them any justice at all. As I look back on this film, I will be seeing it again as soon as possible. The only reason I give Winter Soldier and Guardians 2 the edge (in favorite – as I know they weren’t that way on my last list) is that Winter Soldier was a very serious drama and had some intense takes on the comic book genre, which was a game changer at the time, and Guardians 2 has a lot of heart and emotion to the end of it. But Thor Ragnarok is a fully realized comic book movie. It’s exactly what going to the movies is all about. There is so much jam packed into this wonderful, beautiful, hilarious film! And do yourself a favor and go listen to the score. A score that fully reinvented what comic book movie scores needs to be!